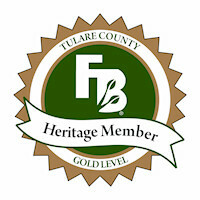 Airoso Dairy Farms is a family farm that has been doing business in Tulare County for 103 years. Currently, we milk cows on two locations in Tulare and Pixley and farm 1500 acres of alfalfa, corn, oats, and wheat. The milking herd is comprised of 2900 registered Holsteins. The business was founded in 1912. The farm is on its sixth generation of Airosos dairy farming in California. We partner with the farmer and invest in designs and equipment for the long-run. CalBio designs, develops, operates and finances as needed digester projects. We have learned what works based on ten years in the business, building digesters specifically for California dairies. We understand the upfront engineering, needed equipment, required permits, and ongoing operation management. We are also experts in the programs to sell the electricity or produce vehicle fuel and in the essential state and federal grant programs to make your project an economic success. We have won grants from the California Energy Commission, the California Department of Food and Agriculture and the San Joaquin Valley Air Pollution Control District grants, and have utilized U.S. Treasury tax programs and USDA farm incentives. Founded with a dairy farmer, and working in partnership with 4Creeks, we also focus on enhancing dairy operations – based on your specific needs, to save you time, money and set you on a strong course for the future. CT & T Enterprises Inc. Covering of dairy silage, haystacks, corn. We are a fast growing business servicing the Western United States since 1999. Our customers consist of dairies and calf ranches throughout California, Nevada, Arizona, New Mexico, Texas and Kansas. We specialize in the manufacturing of custom calf pens, repair lumber, parts and custom designed buckets and bottle feeders. Our mission is to provide our customers with quality products, excellent workmanship and old-fashioned service. US Farm Systems started in Wisconsin in August, 1979 and in 1983 moved to Visalia. The current location in Tulare is a new modern facility built on 10 acres. The current owners, Rejean Houle and his sons Alain and Jean envisioned a need for reasonably priced and dpenable equipment to handle dairy waste. The company designs and manufactures dairy waste handling equipment at their Tulare facility and distributes throughout the world. Valley Pump & Dairy Systems Inc. is a family owned business that was founded in 1978. After such success with our first store in Armona, we decided to open up a shop in Tulare in 1993. We have two locations in the Central Valley to service all your needs. We travel to Bakersfield, Fresno, Modesto and all other Central Valley locations. We offer a wide range of services for water wells. Installation and repair of pumps are common inquiries we often face. We strive to provide our customers with the highest quality repair and remediation efforts at affordable pricing. Our process for well rehabilitation has been perfected through the last 20 years. Our treatments are specific to each well. We start each well rehabilitation with a water sample analysis. This gives us the specific bacteria AND what is feeding the bacteria that is causing the encrustation in each specific well. We then can design the services necessary for you to get your well production back to the level you want out of your well AND design a maintenance program to help you keep your well operating properly for many years.